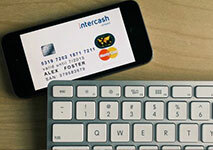 Intercash is a global prepaid financial company, which is specialized in payment management and services. It has more than 10 years of experience, which makes it well-developed and ready to meet various clients’ needs. It offers a few card options, so one can choose what is suitable for their needs. It is backed by Mastercard and Visa, which adds greatly to its credibility as being a very secure method of payment whenever and wherever you need it. The prepaid services of Intercash allow multi-lingual, multi-currency, quick and secure online transactions. The prepaid cards are ideal to use in international gambling websites. Intercash has been praised by many different types of gamblers all over the world. It has been approved and is available at many online casinos. There is no need for bank transfers, fees or check payments with this system, as players can simply use their online MasterCard accounts to fund their pay. So, let’s have a closer look at how this payment method works. Unfortunately, you have to be a UK resident in order to own an Intercash card. It resembles a voucher, as it provides you with access to a limited amount of money you have previously inserted. As it says above, there are a few options to choose from – a prepaid, virtual, contactless and gift card. It is important to know, that this is a Mastercard-branded card, so you can use it and make purchases with it wherever Mastercard is accepted. A very useful and original option Intercash offers is the 14 days “cooling-off” period, during which you may change your mind and cancel your card in case you have reconsidered its pros and cons. However, there is one condition in order to not pay additional fees and get a refunding of the ones you may have already payed. You have to send the card back completely unused and unsigned. If, after all, you have used it in any way, you will get no refunds. So, how can you join the Intercash customer group? To begin with, you do not really need to make a registration. All you have to do in order to start the process of identity verification and obtaining the card, is click the “Start Issuing Now” button on the Home page of the website and fill in the information requested, including names, email address, as well as some details about your country of residence and company, if you need to purchase a larger number of cards. Then, you instantly get an email with a confirmation and activation link, where you get further instructions and a code you have to register on www.cardportal.com. You will get your own PIN (Personal Identification Number) on your email. 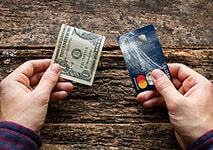 It has to be remembered, as you will be using it always when making different payments and even loading cash in it. Be aware that, if the card is inactive, any transactions you may try to make will be declined and practically, you will not be able to use any of the features it includes. After the Intercash card is activated, cardholders can deposit funds up to a maximum of €2,500. This upper deposit limit can be increased by providing relevant verification documents – some identity ones and your address. It is good to do this, as by upgrading your card to Plastic, you can already make POS payments, as well as ATM/Cash Machines withdrawals. It will take up to 15 work days for it to be delivered to your address. As far as your bank account is concerned, you do not necessarily need one in order to get an Intercash card. Of course, you can fund and refund your card through your bank account or credit card, but you can also load cash into it. A great advantage of this method is the fact it offers the option of issuing additional cards and PINs if the client requests. They have to authorize Intercash to do so and bear responsibility for any fees and transactions made via all the cards. The prepaid card is suitable for daily use of various types. It is reloadable, which makes it perfect for recurring payments, turning them into a far more manageable experience. In addition, it is an available payment method in more than 30 million locations worldwide. Your funds are accessible through the Mastercard and Visa networks, which makes it quite a secure option. In the modern world, a person is used to the instant gratification of their needs and this is the reason why Intercash provides the virtual prepaid card, which can be issued instantly and used minutes after that. 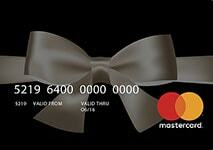 Another card Intercash offers is the Mastercard and Visa single load gift card. It is suitable for loyalty gift cards, as well as whatever gift card you need, of course. It is important to mention that you cannot withdraw any money on is, as it is a single load one. What is original and different in Intercash is the wide range and surprising variety of contactless products, which only enhance the convenience behind the company and its services. You have the opportunity to choose from and order personalized clothes, thematic for the different events or festivals you will be attending, and accessories, making your payments easy and safe to manage. The currencies available for this payment method are only USD, GBP and EUR, unfortunately. However, Intercash offers currency conversion when needed, which is automatic for your convenience. You have to make sure, though, that the funds in your card are sufficient for the payment you are about to make. As far as availability is concerned, it is quite a disappointment to all possible future customers of the casino that they have to be UK residents in order to obtain this card. This, and being at the age of 18 or above, are the two requirements for all Intercash users. Just because it is a prepaid option, Intercash is extremely useful as a payment method in online casinos. It is suitable for novice players or players who do not feel comfortable providing personal information or bank account details. This feature of it adds up some safety to your account and online experience and helps you make sure you will not spend more money than you have initially intended. All you have to do in order to make a deposit in your casino account is to choose this option from the banking section. The transfer is usually instant and free, so you can start playing the moment you have completed this action. Unlike many prepaid options, Intercash offers you the opportunity to have your withdrawals directly on your prepaid card as it is a reloadable one. Keep in mind, that if you have a gift card, though, you cannot use it for any operations, involving loading cash onto it, as it is a single load one. Withdrawing money is as simple as making the deposit. You need to choose the sum you want to cash out from the Banking section and wait. What is annoying for gamblers is the typical pending period many online casinos have. During it, in case you change your mind, you can reverse the withdrawal and continue playing. This time is used for verifying and processing your winnings by the casino. You will probably have to wait a day or two for it to complete the transaction process before your funds are ready to use. One of the great advantages of the Intercash payment method is the absence of many fees you are used to paying when using other methods of payment. Just because Mastercard is so widely accepted, you have a great choice of ATMs you can use with a minimum or no fees for taking out money. International payments are easier, too. What is more, the withdrawal service, which may involve paying a small fee when withdrawing funds from your casino account, is completely free when using this method for your cashout. When you first activate your card, it has a deposit limit of €2,500, which, however, can be raised up , if you upgrade your card by providing some additional identity information. Another way in which you benefit from upgrading your card is the opportunity to make POS payments and use ATMs. The whole process of upgrading takes about 15 minutes, so it is easy and fast to make. The plastic card will arrive within 15 work days. Another possible case you should keep in mind is the one in which you decide to take advantage of the “cooling-off” period and send your card back. You may have payed some fees, while creating your account, so you have the option to get all of them refunded, but only if you return it unused and unsigned to the address you will see in the Terms and Conditions section of www.cardportal.com. If you decide you want a redemption of your finances after this 2-week period, then you should contact a representative of the support team. Your funds will be redeemed, of course, but you will have to pay a redemption and cashout fee, which will be taken out of the funds in your card. Last, but not least, one more fee has to be listed here. This is the monthly one, taken automatically from your funds. If your card has been issued in the beginning of the month (from the 1st to the 14th day), this fee will be taken in the end of the same month. If you have obtained your card from the 15th to the end of the month, it will be taken in the end of the following month. Once you have signed in your Intercash account, all your Internet operations are secured by Secure Socket Layer (SSL) technology, using high quality security 128-bit encryption. It is certified by VeriSign, a well-established company with years of experience in this business. Also, the Intercash card meets the Payment Card Industry Data Security Standard (PCI DSS), which is a security standard for information and privacy, regarding cards related to the major cards schemes. It is controlled by the Payment Card Industry Security Standards Council and a validation that the card is compliant with the standards and conditions is processed annually either by an external Security Qualified Assessor, or by a certain firm Internal Security Qualified Assessor. This guarantees you fair and secure transactions with all products, having passed such quality tests. What is more, every time you need to pay with the card, you need to enter a PIN code, again, verifying that the cardholder and no one else is using it. One of the main pros of the Intercash card, is the security of transactions, that adds up due to its prepaid characteristics. This way, when making your deposits in your casino account, you stay comparatively anonymous and do not reveal your bank account details. Intercash is extremely suitable for clients who are novice players or simply do not like taking any risks, related to their finances. High-roller gamblers may take advantage of the high deposit limits the card offers and enjoy games to their fullest potential, by betting as much as they want, without card restrictions. Another pro is the quick proceeding of all transfers. It is instant and most of the time free, as all charges required are payed by the casino you have chosen. There is only the pending period, different for every casino. An extremely useful for all gamblers feature of Intercash cards is the option to use them for both deposits and withdrawals. This way, one could select Intercash in online casinos, where the deposit and the withdrawal method have to be the same. Last, but not least, transactions made with Intercash are guaranteed to be faster in all Playtech-powered casinos, and taking into consideration the fact how many they are, you surely have a good variety of choice. A large drawback of this kind of prepaid card, is that it is available to permanent UK residents only, so this method is not really for you, if you live somewhere else. Also, there are only three currencies available, so whenever you need to use another one, you will have to pay some additional conversion fees. What is more, there is no convenient way for non-customers of the website itself to obtain the information they need quick and easy in case they have questions. They have to insert in very precise details their inquiry, including information some may feel uneasy giving, like names, email and a place of residence. Next, the message is sent and the possible client in question waits for the response by a representative of the customer support team. There is no Live chat function. So, gamblers, who need to know something urgently will not really be able to get this information as quick as they may wish. There are a Facebook page, a Twitter profile and Linkedin profile, indeed. However, in order to get access to the full information, you need to have registered or signed in first, so, basically, there is no anonymous way to contact the support team, unless you prefer using the phone number provided on the Facebook page – +44 20 3051 6274. Another drawback of the Intercash website is the absence of easy to find Terms and Conditions section, where you can get more information on the cards itself and its restrictions. After some browsing and research on the method, you will actually find out that there is a separate website – www.cardportal.com – where you can learn more about how to get such a card and use it to its fullest potential. Taking everything mentioned until now, Intercash is a well-established and experienced company for prepaid products, providing its customers, among which a large number of gamblers, with excellent high-quality services and a wide range of operations that can be processed. 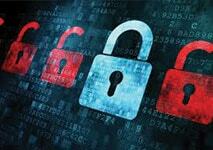 Its security system and licenses guarantee that all the procedures you go through are legal and safe. As far as your gambling experience is concerned, this product provides you with some great benefits. All the representatives of the staff are friendly and ready to assist you in any way possible, once you contact them. There are only three available currencies – USD, GBP and EUR and Intercash is a payment option only for the UK residents. However, for all of them it is reliable method of managing some of their finances, combining lots of features in one product.